Finding a good cup of coffee in the Metro isn’t difficult. Nor is it hard to hunt down tasty desserts. But finding both in one spot, with that certain hard-to-define element that accompanies homemade items, can be a little more challenging. That’s where Miss NiNi’s Desserterie comes in. 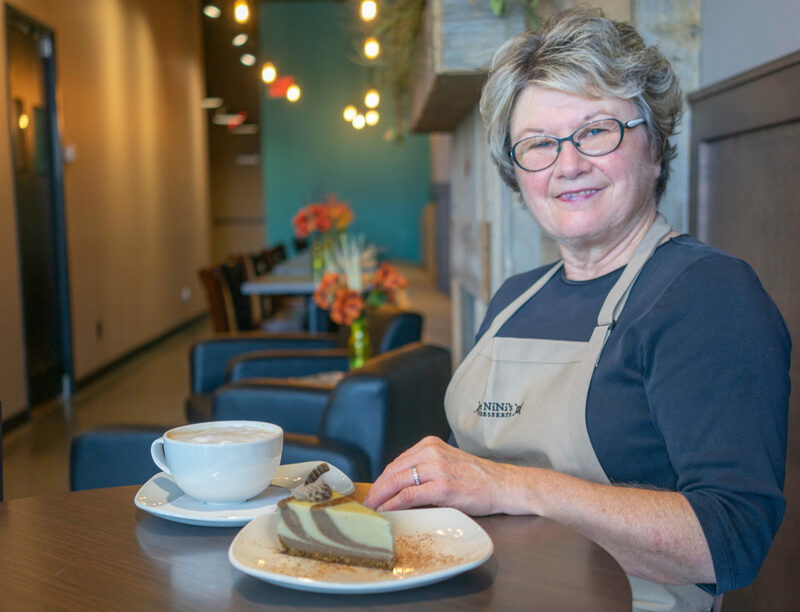 Janine Knop, whose longtime nickname gives the store its name, has had a passion for baking her entire life. Raised on a farm in North Dakota, she “would sit on our three-legged, wobbly kitchen stool observing Mom as she made dozens of loaves of bread, pies, cakes and cinnamon rolls.” Knop continued to bake all through school, participating in 4-H for a decade and earning her college degree in home economics education and food and nutrition. After years of farming near Atlantic, Iowa, with her husband Fred, Knop began to enter her baked creations in food exhibits and competitions at the Iowa State Fair (the largest of their kind in the country). Before long, she wasn’t just participating—she was bringing home numerous championship ribbons. According to Knop, this was when she decided to challenge herself by baking professionally. 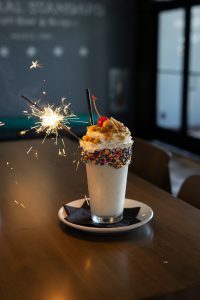 Knop’s desserts could soon be found at Friedrich’s Coffee locations around the Des Moines Metro and at Zanzibar’s Coffee Adventure, where they have been featured for over 10 years. The menu at Des Moines Golf and Country Club also regularly features Knop’s signature creations. The clamor for the desserts increased with time, and in January of 2017, Miss NiNi’s Desserterie opened for business in the Hawthorne Center on University Avenue. Miss NiNi’s menu features a diverse array of goodies, many of which were awarded championship ribbons at the state fair. “I create recipes based on unique flavor combinations and design,” says Knop. It’s difficult to imagine a sweet tooth that couldn’t be satisfied at Miss NiNi’s. If cheesecake isn’t your speed—of which there are 11 varieties on the menu, from Chocolate Raspberry Swirl to Italian Tiramisu—there are also layer cakes, brownies, dessert breads, cookies and coffee cakes available. One highly popular item, the Cupcake-A-Jar, “solves the problem of messy cupcake eating,” according to Knop. Cake and frosting are layered in small glass canning jars, which allows the consumer to eat a few bites now and save the rest for later. The jars are shelf-stable for five to seven days, so you can take your sweet time enjoying them. 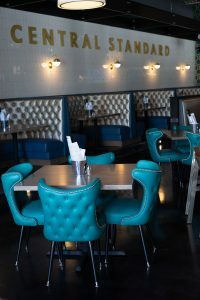 In addition to the dessert options, Knop says customers tell them their coffee—made with locally-roasted Zanzibar’s beans and a sophisticated water filtration system—is the best-tasting in town. With the holiday season just around the corner, seasonal additions have begun to appear in the dessert case at Miss NiNi’s. Among the offerings are pumpkin praline cheesecake, three-layer pumpkin cake with cranberry filling and cinnamon buttercream frosting, decadent flourless chocolate torte with chocolate ganache, and apricot rum cheesecake. New this year is Miss NiNi’s 8-inch Bundt cake, which comes in pumpkin spice, chocolate chunk, and coconut bliss. One seasonal hit from last year, make-them-yourself Christmas cookie kits, will be offered again this season, along with cookie gift trays, which would undoubtedly go over well at any holiday office party or family gathering. 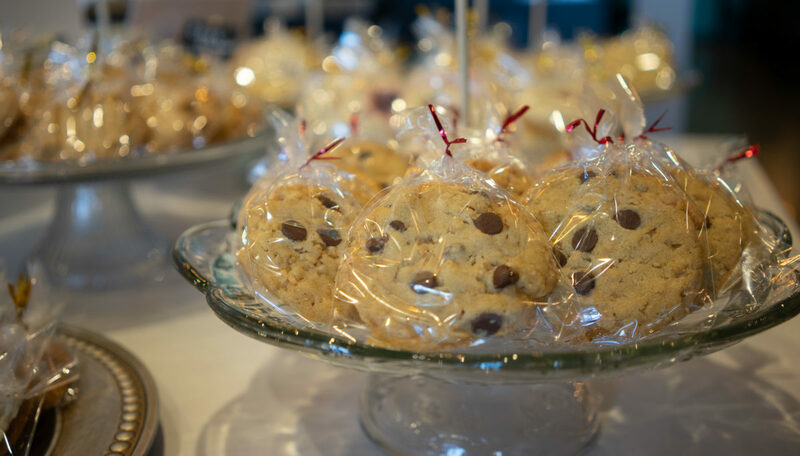 Customers who visit the desserterie, located at 9500 University Avenue, Suite 1204, in West Des Moines, have the option of enjoying their dessert on-site or taking it to-go. Hours and menu items may be found at missnini.com. So if you’re in the market for a great cup of joe and a sweet, homemade treat to go with it—and really, who isn’t?—Miss NiNi’s has you covered. In 1946, Leo Francis Garland and his son, Francis E. “Pat” Garland, purchased the property at 6th Street and Hickman and built their own company—LF Garland and Son Grain Company. Leo’s son-in-law, Joe Wiltgen, later became a partner as well. The families’ children and grandchildren spent a lot of time both working and playing at the grain elevator. They delivered water, coal and other merchandise around town, and when there wasn’t work to be done, they’d join other neighborhood kids behind the elevator to play baseball, wiffle ball or football, or in the wintertime, to play in the snow. Meanwhile, in the 1960s, Lewis Baer started a fertilizer and chemical plant on the north side of Hickman (where Shottenkirk Chevrolet sits today). The plant, called Baer Ag Supply, offered custom spraying, as well as the sales and storage of fertilizer, lime, chemicals and seed. As the company expanded, Baer took on several partners—Al Scholes, Jay Hoskinson and Bob McIlrath—yet remained the majority stockholder. McIlrath came on board in 1973, when Baer purchased Dexter Fertilizer, a liquid fertilizer and chemical business located in Dexter. In 1976, Baer Ag Supply’s expansion continued with the purchase of LF Garland and Son’s elevator across from them on Hickman. The grain elevator operated under the name Waukee Grain and Feed until 1983, when it was changed to Baer Ag Supply, Inc., to tie all of the operations together. In 1978, grain storage and drying capacity were added. In 1982, the company also added a new central office and scales. During peak times, Baer Ag Supply employed 21 full-time employees at the Waukee and Dexter locations, as well as additional part-time seasonal employees. Baer and his partners expanded their service territory to include as far south as Cummings, north to Ankeny and past Dexter to Stuart. In 1997, Heartland Co-op acquired Baer Ag Supply’s grain elevator facility on the south side of Hickman and the fertilizer plant in Dexter, and then leased the fertilizer and chemical plant on the north side of Hickman. After the widening of Highway 6 (Hickman Road) to four lanes, the remaining fertilizer and chemical facilities on the north side were eventually sold to Doug Telke in 2001, who used it for general storage, as well as lawn mower sales and operations. He eventually sold the property to Shottenkirk in 2008. Heartland Co-op sold the remnants of Baer Ag Supply’s buildings and land to Kum & Go. In June of 2017, preparations were made to demolish the old buildings and begin new construction of a Kum & Go Marketplace. 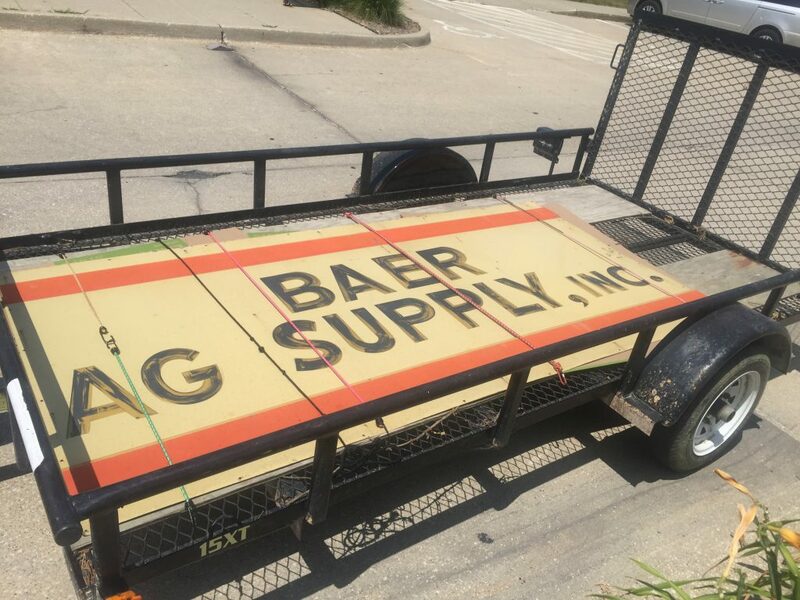 The Waukee Area Historical Society acquired Baer Ag Supply’s company sign. Kum & Go presented the sign to the society on August 6, 2017 at the Waukee Public Library. Lewis Baer was born in March of 1921 on the Baer family farm in Cedar County. He attended school at Tipton Junior College and Iowa State University, and met his wife, Avalon Seiberling, while attending school at Tipton. They were married for nearly 64 years. At Iowa State, Baer’s class started the AG ED 450 farm. He taught high school agriculture and sponsored Future Farmers of America in Keota and Waukee. He was also very active in our community, serving on the school board and town council, as well as being an active member of Waukee United Methodist Church. He was passionate about soil conservation practices and once served as president of the Iowa Fertilizer and Chemical Association. Lewis Baer passed away on September 29, 2007. He is laid to rest at Resthaven Cemetery in West Des Moines. We’re (Apple) here today because across Iowa; businesses, schools, developers, and government are coming together to build a new home for innovation in America’s heartland. 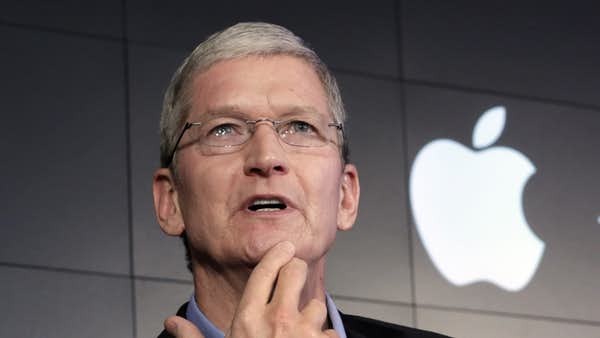 – Tim Cook, Chief Executive Officer of Apple Inc.
Apple is building a 1.4 billion data center right here in Waukee. State and local leaders approved $208 million in tax incentives for Apple Inc. to build two data storage centers in Waukee. This is being called the biggest economic development deal in the history of the state. According to Apple CEO, Tim Cook, Apple has pledged up to $100 million to Waukee, which will be paid out over decades and go towards the development of street and sidewalk projects, amenities such as libraries and parks. Having a tech giant such as Apple in the Greater Des Moines area, puts Iowa on the tech industry map and will open opportunities and growth for the city and state. New construction has a way of popping up overnight. Where there was once a patch of empty land, suddenly there’s a place to meet with things to do, buy and eat. Waukee residents will notice such new construction as they drive down Hickman Road. One new building is going up in front of Life Time Fitness and another next to Kum & Go in Urbandale. The two buildings, collectively known as Heritage Park Retail, will have plenty of room for business development in the 8,125- and 7,425-square-foot spaces. Collectively, the buildings are designed to host nine different businesses. 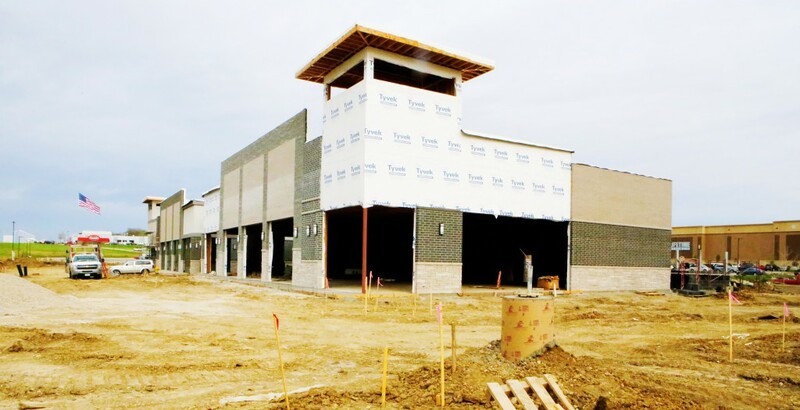 According to Jeffrey D. Stanbrough, CCIM, CPM, of Stanbrough Realty Company, the outside shells of the buildings should be done in about two months, but tenant improvement—the interior development of the storefronts—has already begun. First on the list of new businesses is the “freaky fast” Jimmy John’s, perfect for a quick sandwich or lettuce wrap (and let’s not forget the cookies). A joint venture of Caribou Coffee and Einstein Bros. Bagels will come together for a caffeine and carb-filled storefront. There will also be a nutrition store, offering a myriad of health products, and Fresh Fit Meals, which will serve up nutritious meals to-go or for on-site consumption. Plus, with two large monument signs marking the shops, it will be hard to drive by without swinging through. Ninety-four parking spaces have been allocated for the development, ensuring plenty of convenient parking for visitors. Where does the name “7 Stone” come from? I wanted a name that had personal meaning and reminded me of the journey it took to get here. I started in the pizza business on a whim, at a small local franchise in Cedar Rapids/Marion, Iowa on “7th” Avenue, so that’s where the “7” came from. The “stone” came from realizing that I really enjoyed making a good pizza and having a great time with great staff and customers while doing so. 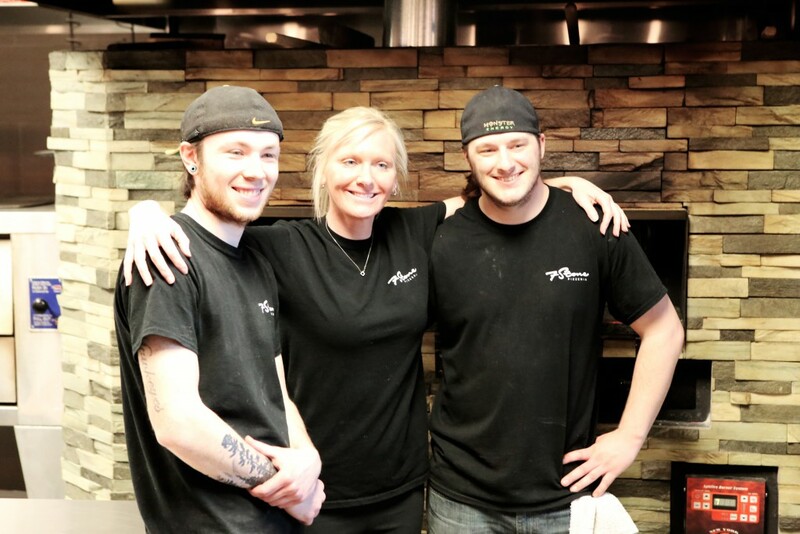 7 Stone Pizzeria is family-owned and –operated. Tell our readers how a family’s passion for pizza became a full-time job. The idea for 7 Stone came after being part of a franchise for 10 years. Two years ago, things fell into place that allowed me to branch out on my own. Anyone who has ventured out on their own can probably relate that it truly is a family affair. I have two employees whom I call my “kids.” They’ve become family and have made 7 Stone possible. Brett has been my lifesaver for eight years and Jacob (JB) for four years. Their ideas and incredibly long work hours allowed us to recently celebrate our one-year anniversary. There aren’t enough thank-you’s that could be said. 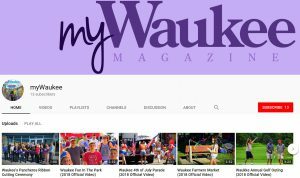 How did you choose the Waukee/West Des Moines area for your business? It was a fairly easy decision. I really like the area, and we wanted to be a “family and friends pizza night” place where people can relax or grab a drink while they wait for take-out. We’ve met some really great people and families. We heard you have a unique way of crafting your pizzas that readers won’t find just anywhere. Can you tell us about that? We do our own take on a thicker crust, which we call the 7 Stone. It’s a cross between a thin crust and a Chicago style. We also do a wood-fired thin crust, which was a new thing for us at 7 Stone. It took a few months to get the kinks worked out, but we finally got the hang of it. Our sauces are homemade and they come on top of the pizza, though we have started offering it on the bottom, as more of a traditional New York pizza. Knowing you probably have a fan club, do they have a favorite pizza? We offer several specialty pizzas, of which our taco, vodka pie, buffalo chicken and House 7—our version of a supreme—are most popular. 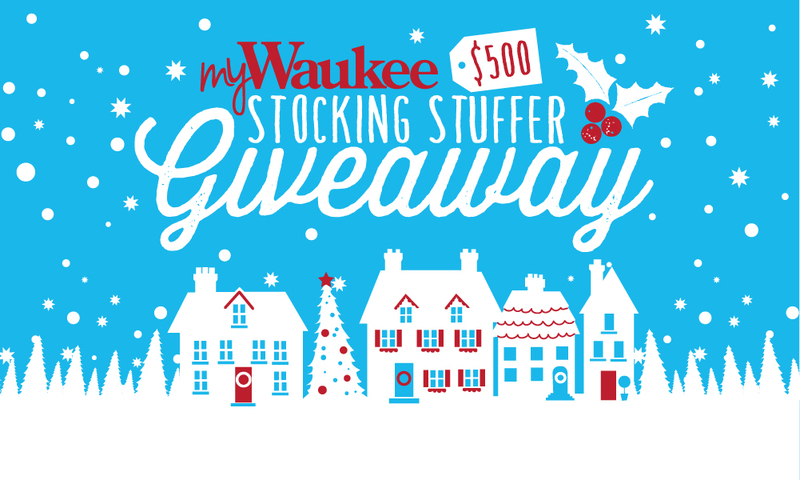 myWaukee and participating sponsors are offering one lucky reader the chance to win a Holiday-themed giveaway package valued at $500. What a great way to get your Holiday Shopping started! See entry details below and be sure to enter before December 15th, 2015! Healthy Skin & Laser Center’s state-of-the-art VISIA Imaging System helps give you a clear visualization and detailed analysis of your skin and complexion. With innovative technology, you’ll be able to see actual images of your wrinkles, spots, pores, skin tone bacteria and sun damage – and then to take an active part in determining the first steps you can take along your own path to skin rejuvenation, facial vitality and long-term complexion health. No Boundaries is a 10 week program to take people from their current level activity to completing a 5K (3.1 miles). Participants receive 20 coached group workouts, weekly emails, t-shirt, training schedule, training topics, graduation party and more. The next No Boundaries class will begin in March. Winner will be able to select a show of their choosing. Upcoming shows include: Chitty Chitty Bang Bang, 12 Angry Men, Sister Act and You Can’t Take It With You just to name a few! 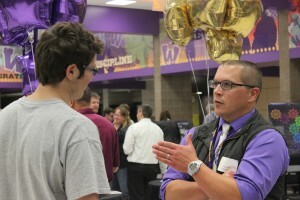 Creativity, collaboration and career cultivation have converged in the Waukee Public School District in the form of an innovative learning program called the Center for Advanced Professional Studies (CAPS). Different from test-centric Advanced Placement (AP) and dual-credit courses, CAPS is shattering the education paradigm. The program is centered on an evolving curriculum not bound by traditional lessons in the basics of reading, writing and arithmetic. Instead, CAPS is a contemporary incubator for the developing minds of Waukee High School seniors as they delve into the world of business. Administrators sent business leaders and legislators to Overland Park, Kansas, to see one of the country’s three other CAPS programs in action. The networking paid off. 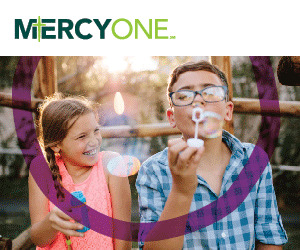 CAPS has won the support of some key metro-area organizations, including Hy-Vee, Drake University, Principal Financial Group, Wellmark Blue Cross Blue Shield and UnityPoint Health. In a recent video produced by the CAPS program, business leaders said they were interested in sharing the functional knowledge of their industries as well as “soft skills” needed in business, such as clear communication, empathy and focus. “We were contacting businesses that fit within our areas of study, and now businesses are coming to us looking to get involved,” Bergman said. She attributes this interest to the strong spirit of the community and its business professionals. Should I Buy the Damage Waiver When Renting a Car? Everyone has a different tolerance for risk and should make their own decision, but we can help you be aware of the risks you will assume if you decline the waiver. Please take time to consider the following. Most auto policies do provide liability coverage for your use of a rented or borrowed car, just as they do when you’re driving your own vehicle – assuming it’s a passenger car, SUV, etc., and not a truck used for business. Coverage for damage to the rented vehicle is less certain. If you have comprehensive and collision coverage on at least one of your vehicles, that same coverage will apply to a rented vehicle if you are responsible for repairs. Loss of Rental Income. If the car rental company claims they are losing rental income while the car is being repaired, they may hold you responsible for the lost income. The rental company may charge their maximum daily rent amount, which can really add up if the repairs take an extended period of time. Diminished Value. The rental company may claim that, because of the damage and subsequent repair, the vehicle is worth less when it comes to resale. Your policy may not pay for a loss like that, nor will it pay for other indirect costs, such as towing. Risk of Impairing the Use of Your Credit Card. It is possible that, if the rental company holds you responsible for any or all of these obligations, the company may immediately place a charge on your credit card pending final resolution of the claim. We hope this information will relieve some uncertainty and help you enjoy your upcoming vacation or business trip. 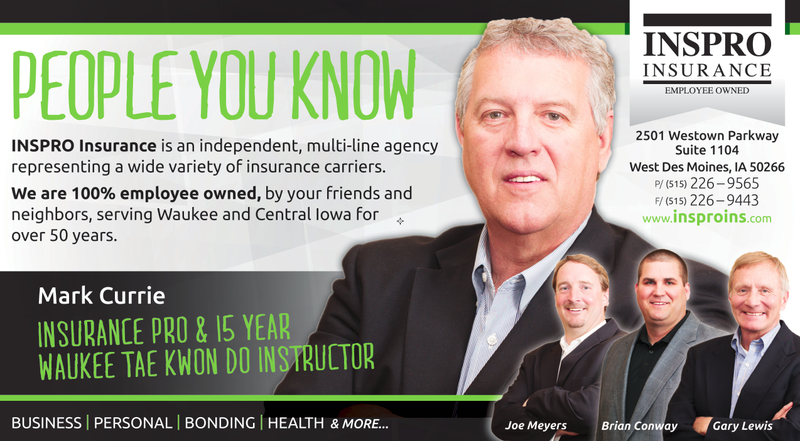 If you have additional questions, feel free to contact your local INSPRO Insurance office today.